Alfredo Annunziata, the contractor profiled in Monday’s Bamboozled column, was arrested less than 24 hours after the report, authorities said. Edison police said Annunziata was arrested by Freehold Borough police shortly after midnight on Dec. 1, and then transferred to the custody of Edison police. He was charged with three contempt of court violations: two stemming from 2007 judgments against Annunziata and his former home improvement company, J&A Home Improvements, and one for bad checks, authorities said. He was also held on two motor vehicles violations, police said. Annunziata was released on bail later that day, according to the Middlesex County Jail. It said he used a bail bondsman to post $3,150 for the three Edison charges, plus $339 for a Piscataway motor vehicles charge and $369 for a Highland Park motor vehicles charge. We reached out to Annunziata about his arrest, giving him an opportunity to comment about the situation. Then Annunziata hung up the phone. The Edison contempt charges stem from money Annunziata allegedly collected from homeowners in 2007. The homeowners, who contacted Bamboozled after they read about Annunziata, said like the experience of the profiled homeowners, Annunziata took money but didn’t do the work he promised to do. 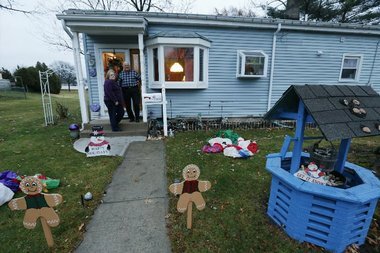 Robert and Linda Temple said they paid Annunziata more than $46,000 in 2007 to put an addition on their Winfield Park home. The Temples said they gave Annunziata a $20,000 deposit on March 16, 2007, but the small amount of work that was done by Annunziata didn’t pass inspection. The couple said it all had to be torn down so the work could start from scratch. Then, in May 2007, Annunziata asked the couple for $20,000 to buy materials to continue the job, the Temples said. Robert and Linda Temple stand outside their home. They say they hired Alfredo Annunziata to put an addition on the home, and they said they paid $46,000, but after some of his work didn’t pass inspection, the couple said Annunziata didn’t return to complete the job. She said they hired an attorney, but when they tried to serve Annunziata, they said they learned Annunziata had moved. He was found in 2008, she said, and they were told a warrant was issued for his arrest, but nothing happened, she said. 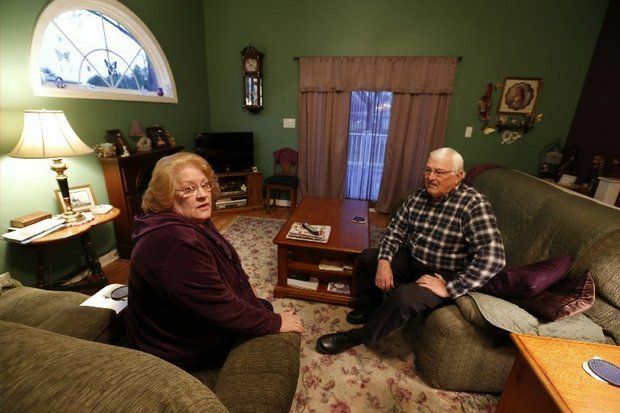 Janice and Mike DiLella also saw the column, and they said they hired Annunziata to install new doors in their Edison home in 2007. Court records show they paid a $700 down payment for Annunziata to buy the doors, but he disappeared without doing any work, they said. The DiLellas won a default judgment against Annunziata in small claims court, court records show. The DiLellas weren’t the only ones to take the contractor to court in that time period. There are 11 default judgments against Annunziata, his wife Janice Annunziata — the company owner of record, according to public records — and J&A Home Improvements. One of the 11 was dismissed, but the other 10 — including the DiLellas, but not including the Temple $46,000 job — add up to more than $35,000. Mike DiLella said an arrest is the next best thing to getting his money back, something he said the couple had more-or-less given up on. The other customers DeLalli mentioned were Yolanda and Terry Payne, a mother and daughter pair who hired Annunziata and his new company, Bellamore Bathroom Remodeling, to redo much of their Edison home in 2013. The homeowners said he did some work but then stopped before completion, and they said they gave him money to buy materials that he never delivered. When Bamboozled spoke to Annunziata, he promised to send the homeowners $3,000 for those materials, but the Paynes said they never received any payment. Before learning about the arrest, Terry Payne said, Edison’s code enforcement officer came to the house. Edison seems to be taking it one step further. Payne shared with us a notice that the township said it was giving to Annunziata. The penalty document Alfredo Annunziata was being given from Edison, related to his work on the Payne’s home. It said he was “found to be in violation of the State Uniform Construction Code Act and Regulations….” and it was fining him $2,000. For every week the violation remains outstanding after Dec. 31, 2014, an additional fine of $500 per week would be instituted, the document said. Payne said she’s grateful to the homeowners who contacted Bamboozled after her story ran, which led to the arrest of Annunziata. Have you been Bamboozled? Reach Karin Price Mueller at Bamboozled@NJAdvanceMedia.com. Follow her on Twitter @KPMueller.